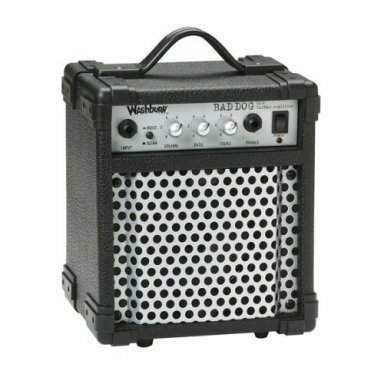 BRAND NEW WASHBURN BAD DOG BD8 COMBO AMP ITS A SMALL AMP WITH A POWERFUL SOUND.THIS IS A GREAT LITTLE AMP.THE BD8 IS A SOLID STATE AMP.WITH A 5 INCH SPEAKER. THE PREAMP IS DESIGNED TO PROVIDE ANYTHING FROM CLEAN TONES TO OVERDRIVE FOR DISTORTION, JUST PRESS THE BOOST BUTTON. THE TONE CONTROLS FEATURES A WIDE RANGE. A ZERO SETTING WILL CUT FREQUENCIES IN THAT KNOB RANGE WHILE A 10 SETTING WILL PROVIDE MAXIMUM BOOST. HEADPHONE JACK DESIGNED SO THAT YOU CAN JAM IN PRIVATE. THE HEADPHONE JACK DISABLES THE INTERNAL SPEAKER, AUTOMATICALLY WHEN PLUGGED IN.THIS AMP IS GREAT FOR ACOUSTIC OR ELECTRIC. Not responsible for lost or any mishandling by the post office/courier. Money Orders/Cashier’s Check, or PAYPAL.